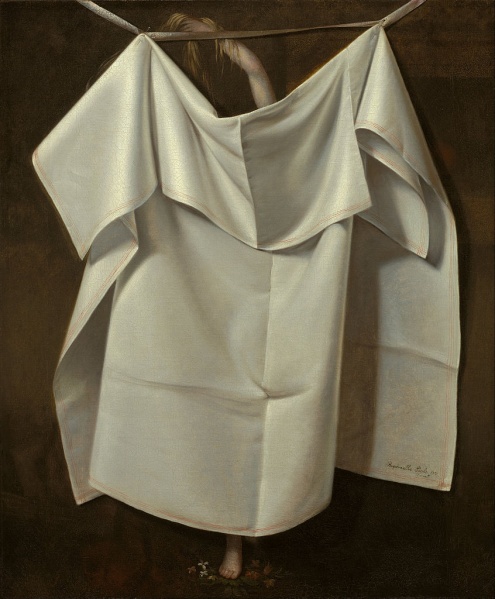 It’s funny how Venus Rising from the Sea — A Deception (c. 1822, above) by American painter Raphaelle Peale relates to the Veil of Veronica by Francisco de Zurbarán of the previous post. The Veil of Veronica is about appearing (the face of Jesus in a handkerchief), the Venus deception about hiding and disappearing (Venus hiding from sight). This entry was posted in Uncategorized and tagged American art, cloth, hidden, painting, towel, Venus on December 3, 2013 by jahsonic.